This was taken of the Space Shuttle Endeavour on Launch Pad 39-A, with the moon rising in the background. The launch was the final for Endeavour before the Columbia disaster. The launch for this particular evening was scrubbed due to winds. 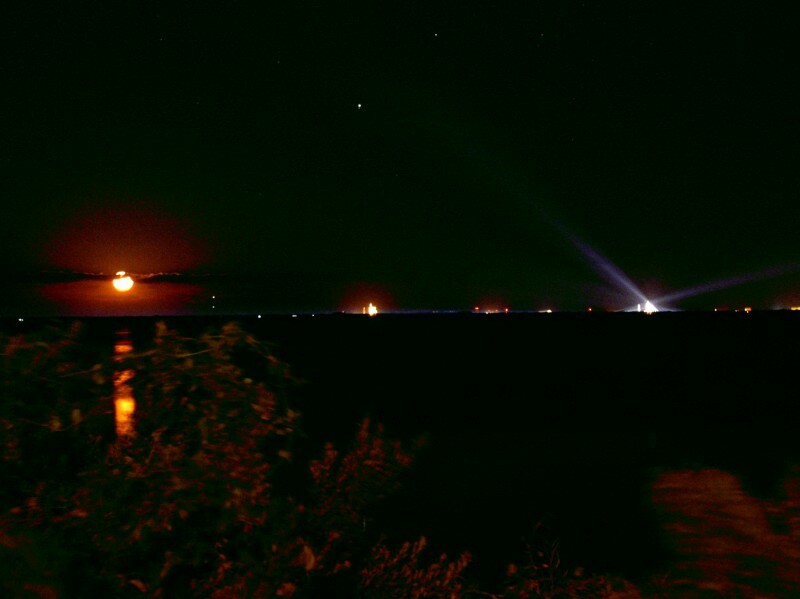 We came back the following night for the eventual launch. Launch pad 39-B can be seen in the middle.